Mum seems to have collected a lot of booklets from Sun Rice Australia I suspect she went to one of their cooking demonstrations. 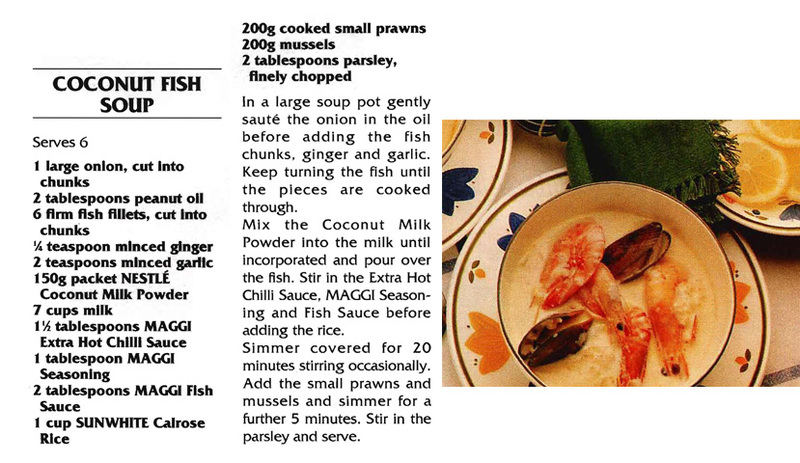 This recipe has a great combination of rice, spices and seafood all in a coconut sauce. It’s a meal in itself.